To Cite: Mehrdadi S. Acute Bacterial Meningitis: Diagnosis, Treatment and Prevention, J Arch Mil Med. Online ahead of Print ; 6(4):e84749. doi: 10.5812/jamm.84749. Context: Military personnel and recruits are generally a high-risk group for meningococcal disease, with a reported incidence of four to ten times greater than that of the general population. Unlike progresses in medicine, bacterial meningitis is still recognized as a medical emergency, which necessitates immediate actions for the definitive diagnosis and subsequently proper antimicrobial regimen. The mortality and morbidity rate are still high even with proper therapeutics and diagnosed cases, if left unattended, can reach 100% mortality. Epidemics with certain pathogens, especially N. meningitidis, might result in grave situations in public health levels in crowded places, namely military bases and camps, and this necessitates proper precautionary actions. Various vaccines have been introduced to control outbreaks in the public health context. Evidence Acquisition: In this review article, 45 related literatures regarding the “acute bacterial meningitis” were studied searching the Internet using Medical data bases such as PubMed and Google Scholar, using the keyword of acute bacterial meningitis. Results: Due to high morbidity and mortality rate, providing accurate, detailed, and citable information is vital, especially, concerning the etiology and persons at highest risk to guarantee and ensure public health and appropriate management. Conclusions: Despite a decrease in morbidity and mortality in the recent years, it is still one of the fatal diseases of the world. However, a definitive diagnosis, prompt therapeutic strategy, decent adjunctive treatment, and vaccinations can all have positive influences in the context of the best patient care. Infectious diseases occur worldwide and have tremendous effects on armed forces and warfare (1, 2). Thus, it is not surprising that military personnel have often been carriers and vectors of life-threatening diseases and affected with pathogenic microorganisms, residing in quarters under the poor hygienic conditions in the battlefield. Often, military campaigns’ results are determined by health situations than military arrangements (3). Throughout history there have been deaths in the armed forces engaging in battles mostly due to infectious diseases than direct combat injuries, including World War I with the pneumonia and influenza epidemics (4, 5), World War two with malaria epidemic (6), and the Korean War with haemorrhagic fever (7, 8). Even during peace, infectious diseases might spread easily in military camps and bases and result in large-scale epidemics. Therefore given the importance of military units in each country, these outbreaks could potentially affect the military power of that country, having more ripple effects on military personnel than on civilians. Furthermore, after the Cold War, warfare has been transformed from classic wars to military operations, which are regional, quicker, and equal with “complex operations” (3). Military personnel might be deployed or settled abroad for long periods, e.g. for special training or manoeuvers, with frequent contact with the local people, vectors, and sources that pose serious risks of diseases that are not endemic on their own homeland. Besides, surveillance of evolving diseases (e.g. Influenza and Zika virus) and potential bio-warfare pathogens (e.g. Small pox, Anthrax, and Plague) has been both an interest and matter of security (9). Hence, the above-mentioned reasons imply the priority and necessity of military medicine, which has always been closely associated with vaccination to control diseases and keep military personnel at the best condition. Vaccination is “a military way of life” in the armed forces and all the personnel, both officers and enlisted, must be vaccinated. For about 250 years, the Armed Forces have employed vaccines for protection against infections that can affect troops during training and overseas deployment or because of individual health status to allow them to complete the missions. Among all these diseases, including but not limited to are smallpox, typhoid fever, tetanus, influenza, meningococcal disease, adenovirus, yellow fever, pneumococcal disease, and anthrax against which nowadays there are vaccines (Figure 1) (10). One of the diseases, which has always and still been a frequent companion of the armed forces is meningococcal disease, caused mainly by the bacterium Neisseria meningitis, and is associated particularly with outbreaks mostly among personnel in military recruitments and training camps and during mobilizations (12). There have been many reports demonstrating the outbreak of meningococcal disease in the Armed forces of different countries, including, Greece (13), India (14), Korea (15), Norway (16), Poland (17, 18), United Kingdom (19), and United States (20-23), and consequently taking necessary actions in the matter of prevention and vaccination. A through, analytical, and comprehensive review was conducted on all relevant reports, articles, statistics, and guidelines using keywords of bacterial meningitis, meningitis and meningococcal disease and searching on “PubMed”, “Google Scholar”, and World Health Organization (WHO) websites and over 40 studies were acquired and necessary information was gathered. All the manuscripts were written in English and it took one year to be completed. Despite great progress in developing broad-spectrum antibiotic therapy and health care, central nervous system infectious diseases, such as acute bacterial meningitis (ABM), are still considered life-threatening, especially in developing countries with 500 000 deaths, annually (24). 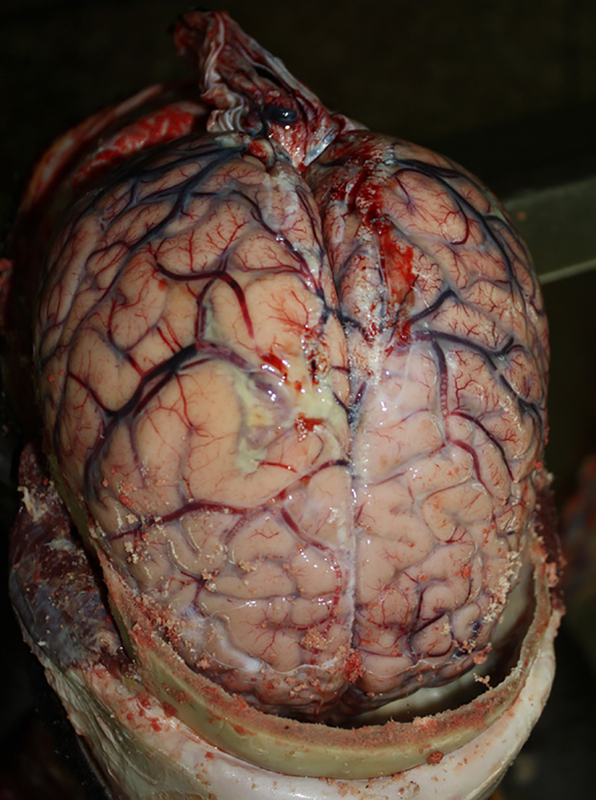 Bacterial meningitis is recognized as one of the reasons of mortality and morbidity in the world (25). However, mortality and morbidity rate can be influenced by age, geographical area, and in a great extent causative agents. Newborns and infants are at highest risk among patients (especially in poor-developed countries) (26). In developed countries, bacterial meningitis is an infrequent illness, while in undeveloped nations it is considered as a major infection (27). Different factors contribute to fatality rate of ABM, including severity of disease upon presentation, antibiotics resistance to causative agents, and inadequate knowledge of the disease (28). All the suspected cases are medical emergency, thereby, necessary actions must be immediately done for definite diagnosis and empirical antimicrobial regiment. Even if the most proper treatment is applied, mortality and morbidity might still exceed 95% of cases. There are common neurological sequelae in survivors (mostly in newborns and infants) (29, 30), especially after pneumococcal meningitis (28). During the recent years and with the profuse application of vaccines, a significant decline in incidence was shown. For the diagnosis of ABM, typical clinical symptoms along with laboratory tests of cerebrospinal fluid (CSF) (Gram’s stain, culture, antigen assay and molecular detection) for detecting the most common causative agents can be employed (31). Meningitis is classified to infectious and non-infectious disease (Box 1). Some drugs, including non-steroidal anti-inflammatory drugs, immunoglobulins, antibiotics and diseases like sarcoidosis and neoplastic meningitis are involved in the development of noninfectious meningitis. Infectious meningitis is categorized to non-bacterial and bacterial (pyogenic) meningitis. Viral, fungal, tuberculous, recurrent and nosocomial infections are all classified as non-bacterial meningitis (25). Significant changes in CSF polymorph nuclear are pathognomonic for bacterial meningitis. As mentioned before, according to geographical area, the prevalence and etiology of ABM can differ (26). Nevertheless, ABM is still recognized as a public health risk with high morbidity and mortality rate, which in case of outbreak, could cause a serious economic problem for health care organizations (33). The development of conjugate vaccines and prophylactic antibiotics caused a great change in the epidemiology of the disease (26, 28). Even with the administration of broad-spectrum antibiotics, ABM still has a high fatality rate and its incidence even exceeds 1.2 million cases, annually, worldwide (28). Meningitis is introduced as a very age-specific disease, which generally affects new born infants and elderly and normally men are presented more than women. The region, the responsible microorganism, and age can significantly influence the fatality proportion (34). The mortality rate was reported to be from 3 to 33 percent. The immunocompromised patients older than 60 years old with Gram negative bacterial infection are suggested as the main mortality predictors. The most common sequelae are typically neurological disorders, including hearing loss, mental disability, and limb weakness (35, 36). Among all the causative agents Streptococcus pneumonia (pneumococcus), Haemophilus influenzae type b (Hib), Neisseria meningitidis (meningococcus), group B streptococcus (Streptococcus agalactiae), and Listeria monocytogenes are the most common ones (more than 80% of cases) (37-39). The pre-existing disease status with the patient’s age altogether can effectively influence the etiology (Table 1). The mucosal membranes of the nasopharynx are the first site of colonization (27). There are few pathogens, which are responsible for meningitis, nevertheless, the precise mechanism of the penetration across blood brain barrier penetration (BBB) is not clear yet (41). In regards with the physiological function of BBB, it prevents the penetration of microorganisms and toxins from blood in brain tissue (42). Nevertheless, meningitis’ infecting pathogens penetrate BBB transcellularly, para-cellularly or by infected phagocytes (Trojan horse mechanism) (43), with the former as the most common way (44). There are studies that have demonstrated BBB crossing by interactions of microorganisms with host receptors (45). For some organisms, certain components (e.g. Kl polysaccharide antigen of E. coli) are required for mucosal attachment and virulence (46). The process of invasion in the nasopharyngeal mucosal membrane happens through an intercellular endocytic route, which sequentially results in separation of apical tight junction of columnar epithelial cells (47). The major pathological event during ABM is the inflammation of leptomeninges with exudate surrounding the brain that extends into Virchow Robin spaces, involving the vessels, which results in phlebitis and arteritis and consequently softening and necrosis of corresponding vascular region (Figure 2). Cerebral edema and acute hydrocephalus (primary symptoms) cause intracranial hypertension. In the first 48 hours the intracranial pressure (ICP) is elevated, which contributes to cerebral perfusion and subsequently neuronal injury (48). - Age: Elderly (age > 60 years); children (age < 5 years), newborns and infants (age < 2 years) (50). - Demographic/social: Men, African ethnicity, poor-health population, crowded places (51). - Exposure to pathogens: Recent infection, household/close contact with meningitis patient, contiguous infection like sinusitis, mastoiditis, otitis media or bacterial endocarditis, intravenous drug abuse or dural defect: Status post neurosurgery, central nervous system trauma, congenital defect, ventriculoperitoneal shunt, other CNS devices or cochlear implants (52). - Immunocompromising factors: Post splenectomy, hematologic disorders, such as sickle cell disease or thalassemia major, malignancy, diabetes, alcoholism/cirrhosis or HIV (53). - Drugs: NSAIDs, trimethoprim-sulfamethoxazole or immunosuppressive drugs (37). - Disease: Systemic lupus erythematosus (37). The illness could be age-related and nonspecific. In adults, 44% of cases present with the classic triad of symptoms: Fever, stiff neck, and altered mental status. There are four general symptoms, namely fever, headache, neck stiffness, and altered mental status; at least two of which are diagnosed in meningitis cases (54). Positive Kernig and Brudzinski’s signs of meningeal irritation might be present in patients. Moreover, nausea, vomiting, cardiorespiratory arrest, focal CNS signs, photalgia, and seizures might occur as well (55). Among all the symptoms in newborns and infants fever, poor feeding, vomiting, lethargy, diarrhea, and sometimes apnea are the most common ones, due to temperature instability and the bulging fontanel in newborns (56). In children, photalgia and mental disorder might be present as well. Sometimes in pediatric patients with pneumococcal meningitis seizure is the only symptom. In Neisseria-caused meningitis, rash and petechiae are also present (more than 50%) (54). In elderly and immunocompromised patients, due to age- or immunodeficiency-associated conditions, signs might be masked, patients can be presented with lethargy and mental disorder (as the common early signs), headaches, photalgia, seizures, rash, nausea, vomiting, meningeal irritation, stiff neck and positive Kernig and Brudzinski upon physical examination (54). Sequelae of ABM can be listed as follows: Neurological (increased ICP, seizures, extra-axial fluid collection, ventriculitis, cranial nerve palsies, hemi/quadriparesis, hearing loss, hydrocephalus), systemic (peripheral circulatory failure, disseminated intravascular coagulation, syndrome of inappropriate secretion of antidiuretic hormone, arthritis) and sequelae mental retardation, seizures, sensorineural hearing loss, visual impairment, behavioral problems, motor deficits, hydrocephalus, and learning disabilities (57). The CSF examination is one of the most important diagnostic methods since it can be utilized for all forms of meningitis. All meningitis suspected cases must undergo lumbar puncture (LP) only when there are no head mass lesions (CT scan studies) and cardiopulmonary disorders; head’s mass lesions, like focal neurological signs and increased intracranial pressure. The CSF pressure should be recorded during LP. A CSF’s Gram stain should be performed; a bacterial count higher than 1 × 103 cells per milliliter confirms the infection (58). A positive Gram stain is always present in patients, especially children: 90% with pneumococcal meningitis, 80% with meningococcal meningitis, half of patients with Gram negative bacillary meningitis, and a third of patients with listeria meningitis (58). Cytospin centrifugation is demonstrated to be very sensitive for detecting organisms in Gram stained CSF (59). For differential diagnosis, CSF cell count and differentiation as well as concentrations of protein and glucose are useful. A low CSF white blood cell count with positive Gram stain has a poor outcome (60). However, in children, who are already under antibiotics treatment, CSF culture might be negative before CSF examination. In one study, complete sterilization of N. meningitidis from CSF was evident within two hours of administration of a parenteral third generation cephalosporin and the beginning of sterilization of S. pneumoniae from CSF by four hours into the treatment (61). In such children, increased CSF white blood cell counts and increased CSF protein concentration are usually sufficient to establish the diagnosis of bacterial meningitis. Blood cultures or non-culture diagnostic tests might be helpful in identifying the infecting pathogen. There are certain conditions, which necessitate the use of non-culture tests like early identification of pathogens and patients with previous antibiotic administration or negative early CSF Gram stain and negative culture within 72 hours of incubation. Latex agglutination is an assay for determining microorganisms and is more sensitive against Hib antigen than N. meningitides antigen (62). In Pneumococcal meningitis studies, this technique was reported to be positive in 49 (66%) of 74 CSF samples for S. pneumoniae, and in 4 of 14 CSF samples that were culture-negative (60). There are studies, which have shown the usefulness of standard or sequential-multiplex polymerase chain reaction (PCR) for the detection of infecting pathogens in patients with previous antibiotics treatment or in resource-poor settings (63-68). Multiplex real time PCR or broad-range PCR is one of the promising techniques, which targets 16S ribosomal RNA gene of eubacteria, and in patients with history of antibiotic administration, positive results are significantly higher with PCR compared to cultures (63). Nevertheless, in some studies the detection rate was limited between assays (69). DNA extraction in real-time PCR takes 90 minutes, which makes this make method very useful (63). A Gram stain specific probe-based real-time PCR (using 16S ribosomal RNA) has been demonstrated for simultaneous detection and differentiation of Gram-positive and Gram-negative bacteria directly from blood samples (70), suggesting a fast and precise diagnosis in infants and children. furthermore, sequential PCR-based serotyping of S. pneumoniae using serotype-specific primers confirms pneumococcal serotype distribution, where previous usage of antibiotics is high (71). Loop-mediated isothermal amplification is a recently developed technique, which amplifies DNA under isothermal conditions (63°C), and is considered promising, since the results can be read with naked eyes (72, 73). In one study, using swab samples, ten or more copies of S. pneumoniae taken from oral mucosa were detected (72), yet there was no evidence of its use in bacterial meningitis diagnosis. Microarray or biochip techniques use extraction of genomic DNA from CSF, amplification of targeted DNA, and hybridization of labelled DNA with oliogonucleotide probes (pathogen specific or virulence genes) immobilized on a microarray (69, 74, 75). However, this technique has to be yet proved to be useful in clinical practice. In one study, rapid immunochromatographic test was used for detecting S. pneumoniae in 122 children infected with pneumococcal meningitis (76). The sensitivity of the immunochromatography technique was 100% for the diagnosis of pneumococcal meningitis in comparison to other techniques: CSF culture (sensitivity of 71%) and latex agglutination (86%), therefore, this technique could be useful in case of pneumococcal meningitis. To prevent unnecessary hospitalization and antibiotics administration, especially in infants and children, bacterial and nonbacterial meningitis must be discriminated. “Bacterial meningitis score”, established assessing meningitis’ patients and outpatient therapeutic protocol, is advisable for children having pleocytosis (7 × 106 cells/L or more) and none of the following five criteria on presentation: History of a seizure with the illness, blood neutrophil count of at least 10 × 109 cells/L, positive CSF Gram stain, CSF protein of at least 80 mg/dL, or CSF neutrophil count of at least 1 × 109 cells/L. This technique has a 95% sensitivity rate (69, 75). In one study, five meningitis patients with pleocytosis had a low risk bacterial meningitis score and 5.5% of meningitis cases did not have pleocytosis (69). Patients with positive CSF culture without pleocytosis or increased CSF protein concentrations probably represent early-stage bacterial meningitis (27). This was presented as a biomarker in CSF in one study of bacterial and viral meningitis (77). At a cutoff level of 20 pg/mL, the sensitivity, specificity, positive and negative predictive value of sTREM-1 was 73% (95% confidence interval, 0.65 to 0.80), 77% (95% confidence interval, 0.57 to 0.89), 0.94 (95% confidence interval, 0.88 to 0.98), and 0.34 (95% confidence interval, 0.23 to 0.48), respectively. High levels of sTREM-1 can be considered as unfavorable outcomes. Another study demonstrated low undetectable sTREM-1 levels for 12 viral meningitis patients and an increased level for seven of nine patients (78). However, the yield of this technique compared to other CSF diagnostic tests is yet to be established. Blood culture is a useful means to detect the causative agents and can be utilized as a complementary method when CSF cultures are negative or unavailable. There could be different positive results of blood culture: 50% to 90% for H. influenzae meningitis cases (79, 80), 75% for pneumococcal meningitis cases (60, 81, 82), 40% of children and 60% of adult patients with meningococcal meningitis (83, 84). However, in two studies the efficacy of blood culture decreased by 20% in patients that had previously received treatment (85, 86). These markers are able to distinguish viral and bacterial meningitis (87)). One study comparing bacterial and aseptic meningitis, demonstrated that elevated serum procalcitonin levels (0.5 ng/mL) and C-reactive protein levels (20 mg/L) are suggestive of bacterial meningitis (88). Another study in Finland demonstrated 100% specificity of C-reactive protein levels lower than 40 mg/liter for patients and 93% sensitivity for bacterial and viral meningitis (89). In conclusion, although increased serum concentrations of C-reactive protein and procalcitonin could be considered a useful method yet they still need to be evaluated in future studies. Information regarding intracranial complications, such as brain edema, hydrocephalus and infarcts could be acquired using a cranial CT. Moreover, bone window imaging identifies parameningeal foci, such as sinusitis, mastoiditis or odontogenic abscess. Given that local infections are common in meningitis (especially in pneumococcal meningitis) and they might need surgical interventions. Nevertheless, due to increased intracranial pressure, which might result in cerebral herniation, a cranial CT before LP is under debate. Particularly, a cranial CT must be performed on patients with focal neurological deficits, seizures, and a disturbed consciousness before LP. If it is not possible to perform LP, a therapeutic regimen must be established according to clinical symptoms. Regarding patients without focal signs or seizures and with a normal level of consciousness, CT abnormalities are found in less than 3% (90, 91); LP could be performed without prior CT. Nevertheless, a normal CT does not rule out intracranial hypertension and a potential threat of herniation (92). Intensive and proper care must be considered for individuals that are suspected of meningitis (Table 2). Due to high transmissibility, meningitis must be diagnosed on time and appropriately and considering therapeutics established: Antibiotics, adjunctive and supportive therapy as well as prophylaxis and vaccination for prevention. Outpatient antimicrobial therapy in bacterial meningitis patients is based on inpatient antimicrobial therapy for ≥ 6 days, absence of fever for at least 24 to 48 hours prior to initiation of outpatient therapy, no significant neurologic dysfunction, focal findings or seizure activity, clinical stability or improving condition, ability to take fluids by mouth, access to home health nursing for antimicrobial administration, reliable intravenous line and infusion device (if needed), daily availability of a physician, established plan for physician visits, nurse visits, laboratory monitoring and emergencies, patient and/or family compliance with the program and safe environment with access to a telephone, utilities, food, and refrigerator (93). Normally, factors such as age, clinical setting, immune status, CSF’s sensitivity, culture, bacterial count, Gram stain, and agent’s blood isolation can influence the choice of antibiotics. Antibiotics must be chosen wisely based on information yet therapeutic plans must be followed while waiting for laboratory test results (94). The duration of antibiotic treatment depending on isolated pathogen takes ≥ 21 days (95). After the identification of causative microorganism through in-vitro assays, the therapeutic plan could be modified accordingly (Table 3). The BBB characteristics and the physicochemical features of antibiotics (logP and pKa) have a direct influence on sufficient CSF penetration (95). Similar to all severe cases of infectious diseases, proper actions regarding physiological support must be taken until improvement by definitive therapy is achieved. Fluid therapy and oxygenation must be applied and adjusted according to patient status. However, regarding over-hydration, the patient must be controlled carefully since it can increase intracranial pressure and the possibility of cerebral edema. If symptoms relief is noticed after 24 to 48 hours, fluid therapy should be withdrawn, however, serum electrolytes must be monitored constantly (40). Dexamethasone (inhibition of sensorineural hearing loss for H. influenzae and pneumococcal meningitis) and antibiotics can be administered contemporaneously. Nevertheless, it is recommended for children older than two months of age, considering advantages and potential dangers when bacterial meningitis’ results are positive based on CSF analysis, Gram stain or agglutination assay. Steroid therapy must be initiated after diagnosis or contemporaneously with antibiotic therapy commencement. The guidelines suggest the simultaneous administration of dexamethasone and antibiotic therapy in suspicious pneumococcal meningitis cases (96). Dexamethasone should be administrated 10 to 20 minutes prior or concomitantly with the first dose of an antibiotic. For children, a dose of dexamethasone 0.6 mg/kg/day IV divided to four doses is recommended for four days while 10 mg IV every six hours is recommended for adults (40). Individuals in close contact, including health care professionals or military personnel are considered at highest risk of infection (especially for H. influenzae and N. meningitides). However, S. pneumoniae are normally less contagious via direct routes. Administration of Rifampin for two days (10 mg/kg every 12 hours for children older than one month or 600 mg every 12 hours for adults) has been found effective (97). As alternatives, ciprofloxacin (single dose 500 to 750 mg) or ceftriaxone (single dose 125 mg in children or 250 mg in adults IM) can be administered as well (98). There are currently two vaccines, which are administered against S. pneumoniae and H. influenzae, the most common causative agents. Furthermore, H. influenzae vaccine is produced as a single antigen conjugate vaccine. There are two pneumococcal vaccines as conjugate vaccine (PCV) [7-valent, 10-valent and 13-valent, seven serotypes: 4, 6B, 9V, 18C, 19F and 23F, conjugated to a carrier protein] and polysaccharide vaccine (PPSV) [23-valent]. For infants and children under five years old, PCV is administered. Almost 82% cases of pneumococcal meningitis are introduced with the above mentioned serotypes and after the introduction of the PCV, it was decreased by 79% (99). However, some serotypes were found to be responsible for the increased incidence of infections (e.g.19A) and the 10-valent and 13-valent pneumococcal conjugate vaccines were removed from the market. In 2009, a 10-valent PCV (serotypes 1, 5 and 7F and all serotypes of PCV-7) was approved in Europe for marketing. In 2010, the 13-valent (three serotypes: 3, 6A and 19A) was introduced, which is responsible for 63% pneumococcal cases in children younger than five years old with chronic lung disease, diabetes or heart disease (99). Nevertheless, there are also some disadvantages with the administration of PPSV23, namely insufficient induction of immunologic memory and effect on nasopharyngeal carriage. The PPSV23 is recommended for children more than two years old with underlying medical conditions after completing all recommended doses of PCV13. Children with anatomic or functional asplenia must receive a poster dose of PPSV23 five years after the first dose. In elderly, it is advisable to receive PPSV23 only if they do not receive pneumococcal vaccination at least in the last five years. Patients with chronic pulmonary or cardiovascular diseases, diabetes and/or immunodeficiency, and smokers should be considered for the PPSV23 vaccine. Meningococcal vaccines are active against many strains of N. meningitides. Immunization against meningococcal is not warranted as post exposure prophylaxis unless the strain is documented to have a capsular serotype represented in the vaccines (type A, B, C, Y or W-135). A marked reduction in H. influenzae meningitis has been associated with the use of H. influenzae vaccine directed against the type b capsular polysaccharide of this organism in children in developed countries since 1987. Bacterial meningitis is still a disease with high morbidity and mortality rates, whereby knowledge of proper empirical antibiotics and other therapeutics for administration could decrease the fatality. Preventive and palliative medicines (vaccines, dexamethasone and etc.) must be administered wisely to offer the best possibility in patient care context. The presentation of conjugate vaccines in the recent decade played a major role in the epidemiology and characteristics of bacterial meningitis, primarily in developed countries. Moreover, there are increasing reports of antibiotic and drug resistance, which results in treatment failures. Nowadays, bacterial meningitis cases are more commonly found amongst adults (caused mainly by S. pneumoniae and N. meningitides). Furthermore, CSF laboratory tests are of significant importance for diagnosis; confirming and identifying the causative bacteria and determining the best antibiotics using sensitivity tests. CSF Gram staining is considered as a rapid diagnostic technique. Recently, application of PCR technique is increasing for etiological purposes and as it is evolving, it is probable that in the future, it will be registered as the standard technique, yet further studies are required. With the growing reports of antibiotic resistance and evolving pathogens, culture tests combined with susceptibility testing are suggested as the standard method for diagnosis. With great progresses in medicine, bacterial meningitis episodes are decreasing in developed countries, while in non-developed countries serious actions and policies are required to control it. Throughout the world vaccination stands are identified as the best solution for controlling bacterial meningitis. All military vaccination and immunization protocols must be individualized on the basis of individual contraindications and previous immunity status. The proper guidance of the armed forces’ medical programs respects the requisites for detailed education of military personnel, elevates quality in immunization delivery and prevents highly transmissible disease outbreak. Authors' Contribution: The author was responsible for the study conception, design, data collection, analysis, and revisions. Conflict of Interests: The author declare no conflict of interest. Funding/Support: The author declared no funding/support. 1. Dye C. After 2015: Infectious diseases in a new era of health and development. Philos Trans R Soc Lond B Biol Sci. 2014;369(1645):20130426. doi: 10.1098/rstb.2013.0426. [PubMed: 24821913]. [PubMed Central: PMC4024220]. 2. Word Health Organization. The top 10 causes of death. 2017, [May 13, 2018]. Available from: http://www.who.int/mediacentre/factsheets/fs310/en/. 3. O'Maonaigh HC, Fisseha S, Thaul S; Institute of Medicine; Medical Follow-up Agency; Committee on a Strategy for Minimizing the Impact of Naturally Occurring Infectious Diseases of Military Importance: Vaccine Issues in the U.S. Military, et al. Protecting our forces: Improving vaccine acquisition and availability in the U.S. military. National Academies Press; 2002. 4. Siler JF. Army Medical Department in the World War. Vol 9: Communicable and other diseases. Washinnton: U.S. Government Printing Office; 1928. p. 66-70. 5. Gray GC, Feighner B, Trump DH, Berg SW, Zajdowicz MJ, Zajdowicz TR. Disease spread by close personal contact. In: Lenhart MK, Lounsbury DE, editors. Military preventive medicine: Mobilization and deployment, Vol 2. Washington DC: Borden Institute; 2005. p. 1127-8. 6. Bayne-Jones S. The evolution of preventive medicine in the United States Army, 1607-1939. Washington, DC: Office of the Surgeon General, Department of the Army; 1968. 7. Chun CH, Kim SW, Kim WD, Yoon HJ. Changing patterns of epidemiology and death: Causes on epidemic hemorrhagic fever in Korea. Korean J Infect Dis. 1976;8:58-74. 8. Johnson KM. Hantaviruses: History and overview. Curr Top Microbiol Immunol. 2001;256:1-14. [PubMed: 11217399]. 9. [No Authors Listed]. The National Security Strategies of the United States of America. 2002. Available from: https://www.state.gov/documents/organization/63562.pdf. 10. Murray CK, Horvath LL. An approach to prevention of infectious diseases during military deployments. Clin Infect Dis. 2007;44(3):424-30. doi: 10.1086/510680. [PubMed: 17205453]. 11. Ratto-Kim S, Yoon IK, Paris RM, Excler JL, Kim JH, O'Connell RJ. The US military commitment to vaccine development: A century of successes and challenges. Front Immunol. 2018;9:1397. doi: 10.3389/fimmu.2018.01397. [PubMed: 29977239]. [PubMed Central: PMC6021486]. 12. Brundage JF, Zollinger WD. Evolution of meningococcal disease epidemiology in the US Army. In: Vedros NA, editor. Evolution of meningococcal disease. 1. Boca Raton, FL: CRC Press; 1987. p. 6-23. 13. Makras P, Alexiou-Daniel S, Antoniadis A, Hatzigeorgiou D. Outbreak of meningococcal disease after an influenza B epidemic at a Hellenic Air Force recruit training center. Clin Infect Dis. 2001;33(6):e48-50. doi: 10.1086/322609. [PubMed: 11512107]. 14. Kushwaha AS, Aggarwal SK, Arora MM. Outbreak of meningococcal infection amongst soldiers deployed in operations. Med J Armed Forces India. 2010;66(1):4-8. doi: 10.1016/S0377-1237(10)80082-6. [PubMed: 27365694]. [PubMed Central: PMC4920896]. 15. Jo YM, Bae SM, Kang YH. Cluster of serogroup W-135 meningococcal disease in 3 military recruits. J Korean Med Sci. 2015;30(5):662-5. doi: 10.3346/jkms.2015.30.5.662. [PubMed: 25931801]. [PubMed Central: PMC4414654]. 16. Kristiansen BE, Sorensen B, Bjorvatn B, Falk ES, Fosse E, Bryn K, et al. An outbreak of group B meningococcal disease: tracing the causative strain of Neisseria meningitidis by DNA fingerprinting. J Clin Microbiol. 1986;23(4):764-7. [PubMed: 3084555]. [PubMed Central: PMC362833]. 17. Kadlubowski M, Wasko I, Klarowicz A, Hryniewicz W. Invasive meningococcal disease at a military base in Warsaw, January 2007. Euro Surveill. 2007;12(3). E070301 2. [PubMed: 17439778]. 18. Grecki M, Bienias M. Outbreak of invasive meningococcal disease among soldiers in Skwierzyna, Poland, March 2006. Weekly releases (1997–2007). 2006;11(27):2996. 19. Masterton RG, Youngs ER, Wardle JC, Croft KF, Jones DM. Control of an outbreak of group C meningococcal meningitis with a polysaccharide vaccine. J Infect. 1988;17(2):177-82. [PubMed: 3141518]. 20. Koppes GM, Ellenbogen C, Gebhart RJ. Group Y meningococcal disease in United States Air Force recruits. Am J Med. 1977;62(5):661-6. [PubMed: 404877]. 21. Smilack JD. Group-y meningococcal disease. Twelve cases at an army training center. Ann Intern Med. 1974;81(6):740-5. [PubMed: 4215351]. 22. Brown JW, Condit PK. Meningococcal infections. Fort Ord and California. Calif Med. 1965;102:171-80. [PubMed: 14254973]. [PubMed Central: PMC1515912]. 23. Millar JW, Siess EE, Feldman HA, Silverman C, Frank P. In vivo and in vitro resistance to sulfadiazine in strains of neisseria meningitidis. JAMA. 1963;186:139-41. [PubMed: 14056528]. 24. Roine I, Peltola H, Fernandez J, Zavala I, Gonzalez Mata A, Gonzalez Ayala S, et al. Influence of admission findings on death and neurological outcome from childhood bacterial meningitis. Clin Infect Dis. 2008;46(8):1248-52. doi: 10.1086/533448. [PubMed: 18444863]. 25. Portnoy A, Jit M, Lauer J, Blommaert A, Ozawa S, Stack M, et al. Estimating costs of care for meningitis infections in low- and middle-income countries. Vaccine. 2015;33:A240-7. doi: 10.1016/j.vaccine.2014.11.061. 26. Brouwer MC, Tunkel AR, van de Beek D. Epidemiology, diagnosis, and antimicrobial treatment of acute bacterial meningitis. Clin Microbiol Rev. 2010;23(3):467-92. doi: 10.1128/CMR.00070-09. [PubMed: 20610819]. [PubMed Central: PMC2901656]. 27. Kim KS. Pathogenesis of bacterial meningitis: from bacteraemia to neuronal injury. Nat Rev Neurosci. 2003;4(5):376-85. doi: 10.1038/nrn1103. [PubMed: 12728265]. 28. World Health Organization. Changing epidemiology of pneumococcal serotypes after introduction of conjugate vaccine: July 2010 report. Wkly Epidemiol Rec. 2010;85(43):434-6. [PubMed: 21038716]. 29. Kim KS. Acute bacterial meningitis in infants and children. Lancet Infect Dis. 2010;10(1):32-42. doi: 10.1016/S1473-3099(09)70306-8. [PubMed: 20129147]. 30. Edmond K, Clark A, Korczak VS, Sanderson C, Griffiths UK, Rudan I. Global and regional risk of disabling sequelae from bacterial meningitis: A systematic review and meta-analysis. Lancet Infect Dis. 2010;10(5):317-28. doi: 10.1016/S1473-3099(10)70048-7. [PubMed: 20417414]. 31. Kumar A, Debata PK, Ranjan A, Gaind R. The role and reliability of rapid bedside diagnostic test in early diagnosis and treatment of bacterial meningitis. Indian J Pediatr. 2015;82(4):311-4. doi: 10.1007/s12098-014-1357-z. [PubMed: 24627278]. 32. Ginsberg L. Difficult and recurrent meningitis. J Neurol Neurosurg Psychiatry. 2004;75 Suppl 1:i16-21. [PubMed: 14978146]. [PubMed Central: PMC1765649]. 33. Abdinia B, Ahangarzadeh Rezaee M, Abdoli Oskouie S. Etiology and antimicrobial resistance patterns of acute bacterial meningitis in children: A 10-year referral hospital-based study in northwest iran. Iran Red Crescent Med J. 2014;16(7). e17616. doi: 10.5812/ircmj.17616. [PubMed: 25237583]. [PubMed Central: PMC4166102]. 34. Centers for Diseases Control and Prevention. Epidemiology of meningitis caused by Neisseria meningitides, Streptococcus pneumonia and Haemophilus influenza. 2011. Available from: http:www.cdc.gov/meningitis/lab-manual/chpt02-epi.html. 35. Tang LM, Chen ST, Hsu WC, Lyu RK. Acute bacterial meningitis in adults: A hospital-based epidemiological study. QJM. 1999;92(12):719-25. [PubMed: 10581335]. 36. Rosenstein NE, Perkins BA, Stephens DS, Popovic T, Hughes JM. Meningococcal disease. N Engl J Med. 2001;344(18):1378-88. doi: 10.1056/NEJM200105033441807. [PubMed: 11333996]. 37. Porto I. Acute bacterial meningitis. US Pharmacist; 2012. Available from: http:www.uspharmacist.com/continuing_education/ceviewtest/lessoned/108112/. 38. Teleb N, Pilishvili T, Van Beneden C, Ghoneim A, Amjad K, Mostafa A, et al. Bacterial meningitis surveillance in the Eastern Mediterranean region, 2005-2010: Successes and challenges of a regional network. J Pediatr. 2013;163(1 Suppl):S25-31. doi: 10.1016/j.jpeds.2013.03.027. [PubMed: 23773590]. [PubMed Central: PMC5801662]. 39. Lozano R, Naghavi M, Foreman K, Lim S, Shibuya K, Aboyans V, et al. Global and regional mortality from 235 causes of death for 20 age groups in 1990 and 2010: A systematic analysis for the Global Burden of Disease Study 2010. Lancet. 2012;380(9859):2095-128. doi: 10.1016/S0140-6736(12)61728-0. [PubMed: 23245604]. 40. Tunkel AR, Hartman BJ, Kaplan SL, Kaufman BA, Roos KL, Scheld WM, et al. Practice guidelines for the management of bacterial meningitis. Clin Infect Dis. 2004;39(9):1267-84. doi: 10.1086/425368. [PubMed: 15494903]. 41. Kim KS. Mechanisms of microbial traversal of the blood-brain barrier. Nat Rev Microbiol. 2008;6(8):625-34. doi: 10.1038/nrmicro1952. [PubMed: 18604221]. [PubMed Central: PMC5206914]. 42. Rubin LL, Staddon JM. The cell biology of the blood-brain barrier. Annu Rev Neurosci. 1999;22:11-28. doi: 10.1146/annurev.neuro.22.1.11. [PubMed: 10202530]. 43. Unkmeir A, Latsch K, Dietrich G, Wintermeyer E, Schinke B, Schwender S, et al. Fibronectin mediates Opc-dependent internalization of Neisseria meningitidis in human brain microvascular endothelial cells. Mol Microbiol. 2002;46(4):933-46. [PubMed: 12421301]. 44. Stins MF, Badger J, Sik Kim K. Bacterial invasion and transcytosis in transfected human brain microvascular endothelial cells. Microb Pathog. 2001;30(1):19-28. doi: 10.1006/mpat.2000.0406. [PubMed: 11162182]. 45. Ring A, Weiser JN, Tuomanen EI. Pneumococcal trafficking across the blood-brain barrier. Molecular analysis of a novel bidirectional pathway. J Clin Invest. 1998;102(2):347-60. doi: 10.1172/JCI2406. [PubMed: 9664076]. [PubMed Central: PMC508893]. 46. Saez-Llorens X, McCracken GH Jr. Meningitis. In: Krugman S, editor. Infectious diseases of children. 9th ed. Mosby-Year Book; 1992. p. 246-59. 47. Stephens DS, Farley MM. Pathogenic events during infection of the human nasopharynx with Neisseria meningitidis and Haemophilus influenzae. Rev Infect Dis. 1991;13(1):22-33. [PubMed: 1901998]. 48. Ashwal S, Perkin RM, Thompson JR, Schneider S, Tomasi LG. Bacterial meningitis in children: Current concepts of neurologic management. Adv Pediatr. 1993;40:185-215. [PubMed: 8249704]. 49. Musubire AK, Boulware DR, Meya DB, Rhein J. Diagnosis and Management of Cryptococcal Relapse. J AIDS Clin Res. 2013;Suppl 3(3). [PubMed: 24371542]. [PubMed Central: PMC3870901]. 50. Geiseler PJ, Nelson KE, Levin S, Reddi KT, Moses VK. Community-acquired purulent meningitis: A review of 1,316 cases during the antibiotic era, 1954-1976. Rev Infect Dis. 1980;2(5):725-45. [PubMed: 6763303]. 51. Chavez-Bueno S, McCracken GH Jr. Bacterial meningitis in children. Pediatr Clin North Am. 2005;52(3):795-810. vii. doi: 10.1016/j.pcl.2005.02.011. [PubMed: 15925663]. 52. Mace SE. Acute bacterial meningitis. Emerg Med Clin North Am. 2008;26(2):281-317. viii. doi: 10.1016/j.emc.2008.02.002. [PubMed: 18406976]. 53. Schutze GE, Mason EO Jr, Barson WJ, Kim KS, Wald ER, Givner LB, et al. Invasive pneumococcal infections in children with asplenia. Pediatr Infect Dis J. 2002;21(4):278-82. [PubMed: 12075756]. 54. Tunkel AR, Van de Beek D, Scheld MW. Acute meningitis. In: Mandell GL, Bennett JE, Dolin R, editors. Mandell, douglas, and bennett's principles and practice of infectious diseases. 7th ed. Philadelphia: Churchill Livingstone/Elsevier; 2010. p. 1189-229. 55. Bamberger DM. Diagnosis, initial management, and prevention of meningitis. Am Fam Physician. 2010;82(12):1491-8. [PubMed: 21166369]. 56. van de Beek D, de Gans J, Spanjaard L, Weisfelt M, Reitsma JB, Vermeulen M. Clinical features and prognostic factors in adults with bacterial meningitis. N Engl J Med. 2004;351(18):1849-59. doi: 10.1056/NEJMoa040845. [PubMed: 15509818]. 57. Fraser DW, Geil CC, Feldman RA. Bacterial meningitis in Bernalillo county, New Mexico: A comparison with three other American populations. Am J Epidemiol. 1974;100(1):29-34. [PubMed: 4152262]. 58. Mylonakis E, Hohmann EL, Calderwood SB. Central nervous system infection with Listeria monocytogenes. 33 years' experience at a general hospital and review of 776 episodes from the literature. Medicine (Baltimore). 1998;77(5):313-36. [PubMed: 9772921]. 59. Shanholtzer CJ, Schaper PJ, Peterson LR. Concentrated gram stain smears prepared with a cytospin centrifuge. J Clin Microbiol. 1982;16(6):1052-6. [PubMed: 6186686]. [PubMed Central: PMC272538]. 60. Arditi M, Mason EO Jr, Bradley JS, Tan TQ, Barson WJ, Schutze GE, et al. Three-year multicenter surveillance of pneumococcal meningitis in children: Clinical characteristics, and outcome related to penicillin susceptibility and dexamethasone use. Pediatrics. 1998;102(5):1087-97. [PubMed: 9794939]. 61. Kanegaye JT, Soliemanzadeh P, Bradley JS. Lumbar puncture in pediatric bacterial meningitis: Defining the time interval for recovery of cerebrospinal fluid pathogens after parenteral antibiotic pretreatment. Pediatrics. 2001;108(5):1169-74. [PubMed: 11694698]. 62. Gray LD, Fedorko DP. Laboratory diagnosis of bacterial meningitis. Clin Microbiol Rev. 1992;5(2):130-45. [PubMed: 1576585]. [PubMed Central: PMC358232]. 63. Chiba N, Murayama SY, Morozumi M, Nakayama E, Okada T, Iwata S, et al. Rapid detection of eight causative pathogens for the diagnosis of bacterial meningitis by real-time PCR. J Infect Chemother. 2009;15(2):92-8. doi: 10.1007/s10156-009-0670-3. [PubMed: 19396518]. 64. Corless CE, Guiver M, Borrow R, Edwards-Jones V, Fox AJ, Kaczmarski EB. Simultaneous detection of Neisseria meningitidis, Haemophilus influenzae, and Streptococcus pneumoniae in suspected cases of meningitis and septicemia using real-time PCR. J Clin Microbiol. 2001;39(4):1553-8. doi: 10.1128/JCM.39.4.1553-1558.2001. [PubMed: 11283086]. [PubMed Central: PMC87969]. 65. Schuurman T, de Boer RF, Kooistra-Smid AM, van Zwet AA. Prospective study of use of PCR amplification and sequencing of 16S ribosomal DNA from cerebrospinal fluid for diagnosis of bacterial meningitis in a clinical setting. J Clin Microbiol. 2004;42(2):734-40. [PubMed: 14766845]. [PubMed Central: PMC344470]. 66. Lu JJ, Perng CL, Lee SY, Wan CC. Use of PCR with universal primers and restriction endonuclease digestions for detection and identification of common bacterial pathogens in cerebrospinal fluid. J Clin Microbiol. 2000;38(6):2076-80. [PubMed: 10834956]. [PubMed Central: PMC86732]. 67. Wu YD, Chen LH, Wu XJ, Shang SQ, Lou JT, Du LZ, et al. Gram stain-specific-probe-based real-time PCR for diagnosis and discrimination of bacterial neonatal sepsis. J Clin Microbiol. 2008;46(8):2613-9. doi: 10.1128/JCM.02237-07. [PubMed: 18550744]. [PubMed Central: PMC2519463]. 68. Saha SK, Darmstadt GL, Baqui AH, Hossain B, Islam M, Foster D, et al. Identification of serotype in culture negative pneumococcal meningitis using sequential multiplex PCR: Implication for surveillance and vaccine design. PLoS One. 2008;3(10). e3576. doi: 10.1371/journal.pone.0003576. [PubMed: 18974887]. [PubMed Central: PMC2571985]. 69. Dubos F, De la Rocque F, Levy C, Bingen E, Aujard Y, Cohen R, et al. Sensitivity of the bacterial meningitis score in 889 children with bacterial meningitis. J Pediatr. 2008;152(3):378-82. doi: 10.1016/j.jpeds.2007.07.012. [PubMed: 18280844]. 70. Seki M, Yamashita Y, Torigoe H, Tsuda H, Sato S, Maeno M. Loop-mediated isothermal amplification method targeting the lytA gene for detection of Streptococcus pneumoniae. J Clin Microbiol. 2005;43(4):1581-6. doi: 10.1128/JCM.43.4.1581-1586.2005. [PubMed: 15814969]. [PubMed Central: PMC1081357]. 71. Gill P, Ghaemi A. Nucleic acid isothermal amplification technologies: A review. Nucleosides Nucleotides Nucleic Acids. 2008;27(3):224-43. doi: 10.1080/15257770701845204. [PubMed: 18260008]. 72. Ben RJ, Kung S, Chang FY, Lu JJ, Feng NH, Hsieh YD. Rapid diagnosis of bacterial meningitis using a microarray. J Formos Med Assoc. 2008;107(6):448-53. doi: 10.1016/S0929-6646(08)60152-7. [PubMed: 18583215]. 73. Wen L, Wang Q, Li Y, Kong F, Gilbert GL, Cao B, et al. Use of a serotype-specific DNA microarray for identification of group B Streptococcus (Streptococcus agalactiae). J Clin Microbiol. 2006;44(4):1447-52. doi: 10.1128/JCM.44.4.1447-1452.2006. [PubMed: 16597875]. [PubMed Central: PMC1448623]. 74. Korczak B, Frey J, Schrenzel J, Pluschke G, Pfister R, Ehricht R, et al. Use of diagnostic microarrays for determination of virulence gene patterns of Escherichia coli K1, a major cause of neonatal meningitis. J Clin Microbiol. 2005;43(3):1024-31. doi: 10.1128/JCM.43.3.1024-1031.2005. [PubMed: 15750055]. [PubMed Central: PMC1081230]. 75. Nigrovic LE, Kuppermann N, Macias CG, Cannavino CR, Moro-Sutherland DM, Schremmer RD, et al. Clinical prediction rule for identifying children with cerebrospinal fluid pleocytosis at very low risk of bacterial meningitis. JAMA. 2007;297(1):52-60. doi: 10.1001/jama.297.1.52. [PubMed: 17200475]. 76. Saha SK, Darmstadt GL, Yamanaka N, Billal DS, Nasreen T, Islam M, et al. Rapid diagnosis of pneumococcal meningitis: Implications for treatment and measuring disease burden. Pediatr Infect Dis J. 2005;24(12):1093-8. [PubMed: 16371872]. 77. Determann RM, Weisfelt M, de Gans J, van der Ende A, Schultz MJ, van de Beek D. Soluble triggering receptor expressed on myeloid cells 1: A biomarker for bacterial meningitis. Intensive Care Med. 2006;32(8):1243-7. doi: 10.1007/s00134-006-0240-4. [PubMed: 16786330]. 78. Bishara J, Hadari N, Shalita-Chesner M, Samra Z, Ofir O, Paul M, et al. Soluble triggering receptor expressed on myeloid cells-1 for distinguishing bacterial from aseptic meningitis in adults. Eur J Clin Microbiol Infect Dis. 2007;26(9):647-50. doi: 10.1007/s10096-007-0343-z. [PubMed: 17610097]. 79. Nigrovic LE, Kuppermann N, Malley R; Bacterial Meningitis Study Group of the Pediatric Emergency Medicine Collaborative Research Committee of the American Academy of Pediatrics. Children with bacterial meningitis presenting to the emergency department during the pneumococcal conjugate vaccine era. Acad Emerg Med. 2008;15(6):522-8. doi: 10.1111/j.1553-2712.2008.00117.x. [PubMed: 18616437]. 80. Pedersen TI, Howitz M, Ostergaard C. Clinical characteristics of Haemophilus influenzae meningitis in Denmark in the post-vaccination era. Clin Microbiol Infect. 2010;16(5):439-46. doi: 10.1111/j.1469-0691.2009.02841.x. [PubMed: 19548927]. 81. Chao YN, Chiu NC, Huang FY. Clinical features and prognostic factors in childhood pneumococcal meningitis. J Microbiol Immunol Infect. 2008;41(1):48-53. [PubMed: 18327426]. 82. Weisfelt M, van de Beek D, Spanjaard L, Reitsma JB, de Gans J. Clinical features, complications, and outcome in adults with pneumococcal meningitis: A prospective case series. Lancet Neurol. 2006;5(2):123-9. doi: 10.1016/S1474-4422(05)70288-X. [PubMed: 16426988]. 83. Heckenberg SGB, de Gans J, Brouwer MC, Weisfelt M, Piet JR, Spanjaard L, et al. Clinical features, outcome, and meningococcal genotype in 258 adults with meningococcal meningitis: A prospective cohort study. Medicine. 2008;87(4):185-92. 84. Stephens DS, Greenwood B, Brandtzaeg P. Epidemic meningitis, meningococcaemia, and Neisseria meningitidis. Lancet. 2007;369(9580):2196-210. doi: 10.1016/S0140-6736(07)61016-2. [PubMed: 17604802]. 85. Bronska E, Kalmusova J, Dzupova O, Maresova V, Kriz P, Benes J. Dynamics of PCR-based diagnosis in patients with invasive meningococcal disease. Clin Microbiol Infect. 2006;12(2):137-41. doi: 10.1111/j.1469-0691.2005.01327.x. [PubMed: 16441451]. 86. Nigrovic LE, Malley R, Macias CG, Kanegaye JT, Moro-Sutherland DM, Schremmer RD, et al. Effect of antibiotic pretreatment on cerebrospinal fluid profiles of children with bacterial meningitis. Pediatrics. 2008;122(4):726-30. doi: 10.1542/peds.2007-3275. [PubMed: 18829794]. 87. De Cauwer HG, Eykens L, Hellinckx J, Mortelmans LJ. Differential diagnosis between viral and bacterial meningitis in children. Eur J Emerg Med. 2007;14(6):343-7. doi: 10.1097/MEJ.0b013e328270366b. [PubMed: 17968200]. 88. Dubos F, Korczowski B, Aygun DA, Martinot A, Prat C, Galetto-Lacour A, et al. Serum procalcitonin level and other biological markers to distinguish between bacterial and aseptic meningitis in children: A European multicenter case cohort study. Arch Pediatr Adolesc Med. 2008;162(12):1157-63. doi: 10.1001/archpedi.162.12.1157. [PubMed: 19047543]. 89. Sormunen P, Kallio MJ, Kilpi T, Peltola H. C-reactive protein is useful in distinguishing Gram stain-negative bacterial meningitis from viral meningitis in children. J Pediatr. 1999;134(6):725-9. [PubMed: 10356141]. 90. Joffe AR. Lumbar puncture and brain herniation in acute bacterial meningitis: A review. J Intensive Care Med. 2007;22(4):194-207. doi: 10.1177/0885066607299516. [PubMed: 17712055]. 91. Hasbun R, Abrahams J, Jekel J, Quagliarello VJ. Computed tomography of the head before lumbar puncture in adults with suspected meningitis. N Engl J Med. 2001;345(24):1727-33. doi: 10.1056/NEJMoa010399. [PubMed: 11742046]. 92. Oliver WJ, Shope TC, Kuhns LR. Fatal lumbar puncture: Fact versus fiction--an approach to a clinical dilemma. Pediatrics. 2003;112(3 Pt 1):e174-6. [PubMed: 12949308]. 93. Nau R, Sorgel F, Eiffert H. Penetration of drugs through the blood-cerebrospinal fluid/blood-brain barrier for treatment of central nervous system infections. Clin Microbiol Rev. 2010;23(4):858-83. doi: 10.1128/CMR.00007-10. [PubMed: 20930076]. [PubMed Central: PMC2952976]. 94. Brouwer MC, Thwaites GE, Tunkel AR, van de Beek D. Dilemmas in the diagnosis of acute community-acquired bacterial meningitis. Lancet. 2012;380(9854):1684-92. doi: 10.1016/S0140-6736(12)61185-4. [PubMed: 23141617]. 95. van de Beek D, Brouwer MC, Thwaites GE, Tunkel AR. Advances in treatment of bacterial meningitis. Lancet. 2012;380(9854):1693-702. doi: 10.1016/S0140-6736(12)61186-6. [PubMed: 23141618]. 96. Lieberman JM, Greenberg DP, Ward JI. Prevention of bacterial meningitis. Vaccines and chemoprophylaxis. Infect Dis Clin North Am. 1990;4(4):703-29. [PubMed: 2126022]. 97. Schaad UB, abdus Salam M, Aujard Y, Dagan R, Green SD, Peltola H, et al. Use of fluoroquinolones in pediatrics: Consensus report of an International Society of Chemotherapy commission. Pediatr Infect Dis J. 1995;14(1):1-9. [PubMed: 7715981]. 98. Seppa N. Science news. Bacterial meningitis rates fall- Vaccinations cut cases nearly one-third over past decade. 2011. Available from: http:www.usnews.com/science/articles/2011/05/26/bacterial-meningitis-rates-fall. 99. European Medicines Agency. Prevenar: Pneumococcal polysaccharide conjugate vaccine (13-valent,adsorbed). 2012. Available from: http:www.ema.europa.eu/docs/en_GB/document_library/EPAR_Summary_for_the_public/human/001104/WC500057248.pdf.